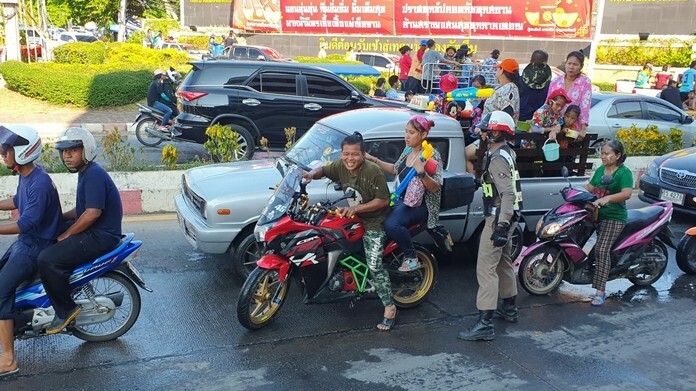 It’s going to be a great evening out for all the family on Sunday 8th March – a free open-air concert of light classics and popular music given by the widely-acclaimed Thailand Philharmonic Orchestra. Considered by many to be Thailand’s top orchestra, it will be joined by talented singers to perform a selection of well-known songs and hits from the shows. 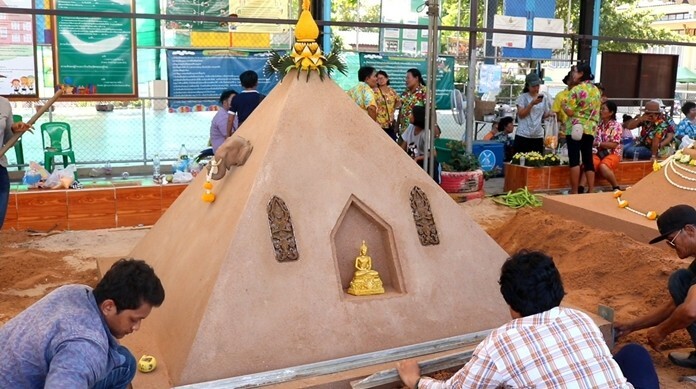 It’s all happening at Phornprapha Botanic Gardens, not far from Siam Country Club. The concert starts at 4.00pm and you can bring your own food or buy snacks at the event. Bring some cushions too, because the seating is on stone terraces in a natural amphitheatre. Taking the reins: conductor Lt. Col. Prateep Suphanrojn. 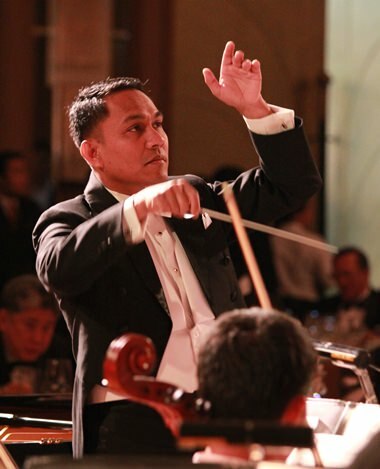 The Thailand Philharmonic Orchestra gave its first performance almost ten years ago and since then it has consistently impressed and inspired audiences with its concert performances which feature international conductors and soloists from around the world. The ninety-piece orchestra is under the patronage of the Royal Thai Government and Mahidol University and includes musicians from more than fifteen nations. The TPO currently gives over eighty concerts each year mostly at its performance home, the new Prince Mahidol Hall on Mahidol University’s Salaya Campus. The concert on 8th March is a gift from Mahidol University College of Music to the citizens of Pattaya. On this occasion, the TPO will be conducted by its Resident Conductor, Lt. Col. Prateep Suphanrojn who has received many awards for conducting and who is also a successful composer. The concert begins with a selection of classical favourites: Glinka’s sizzling overture Ruslan and Ludmilla, followed by some of the best-loved waltzes and polkas from the Strauss family. You’ll hear Puccini’s Nessun Dorma and the colourful Habanera from Bizet’s ever-popular opera Carmen. Also on the programme is perhaps the most well-known Neapolitan of all time, O sole mio (“My Sunshine”) along with Francesco Sartori’s Time to Say Goodbye made famous by Andrea Bocelli and Sarah Brightman. No concert would be complete without some of the much-loved songs by His Majesty the King and you’ll hear favourites including Love at Sundown, Dream Island and H. M. Blues. If you enjoy musicals you won’t be disappointed either, because there’s music from Les Miserables, Evita, The Phantom of the Opera and Cats. The concert will conclude with some vocal hits including My Way and Besame Mucho. This song (it means “Kiss Me A Lot”) was written by the Mexican songwriter Consuelo Velázquez. According to the composer, when she wrote this song she had never been kissed. Or so she said. 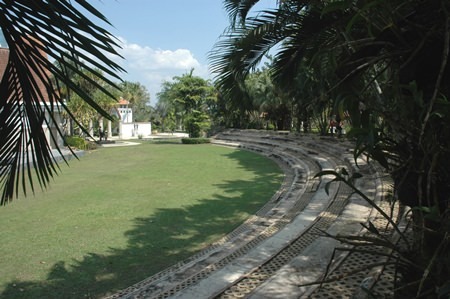 Outdoor performance area at Phornprapha Botanic Gardens. It’s an easy trip to Phornprapha Botanic Gardens. Drive out from Central Pattaya along Soi Country Club (Soi Pornpraphanimit) until you pass Mabprachan Reservoir on your left, past the big temple on your right and then go straight on, under the red arch saying “Siam Country Club Pattaya”. From this point it’s exactly 2.9 kms on the same road to the imposing entrance to Phornprapha Botanic Gardens which is on your right. A little further up the road is the artificial railway station with a small empty train waiting there. If you pass it, you’ve gone too far. The GPS coordinates are 12.920408N 100.987761E. The concert is expected to end at about 6.00pm and a donation is requested. If you’re wondering how much, it’s “up to you” as they say in these parts. Any surplus funds will be donated to the Hand to Hand Foundation, a Pattaya charity that supports the under-privileged in our society.